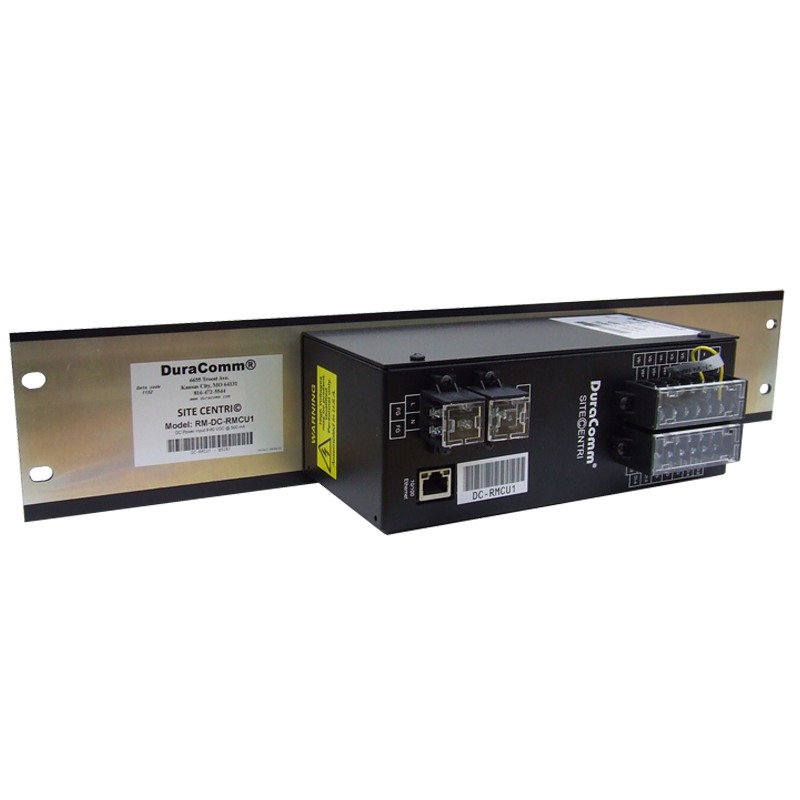 The DC-RMCU1 (SITE CENTRI©) is designed by DuraComm to monitor any DC load, battery or power supply, temperature, and AC power via Ethernet. It is easily adapted to many possible power systems thanks to six isolated Volt or Amp meters that monitor critical data via internet for analysis and site history logging. 8 general purpose I/O pins provide alarming and control. 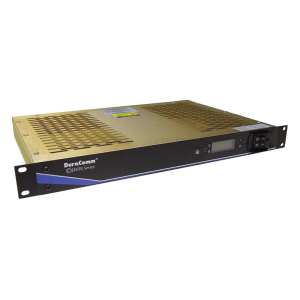 This compact unit can be rack, DIN-rail, or wall mounted. 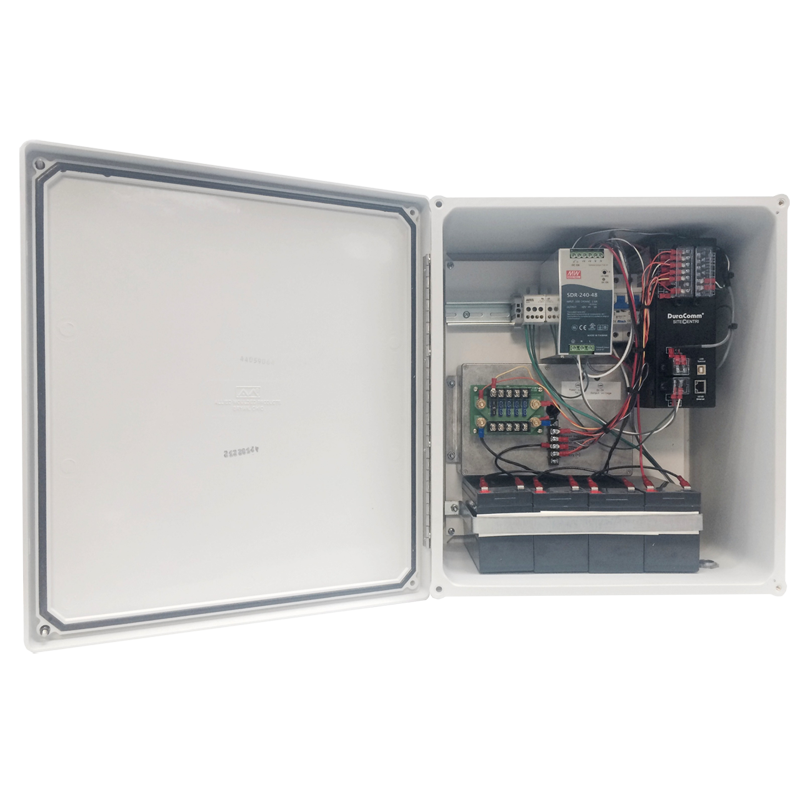 Provides connectivity and adds intelligence to any site’s AC and DC power system for 24/7 monitoring, alarm condition notification, and data logging of vital electrical functions. All programmable, accessible, and managed via the Internet: TCP/IP or SNMP. Users can view current conditions at remote sites via web browser and log history of AC and DC power status on the included micro SD card. Sites without internet access can use the monitor solely as a data logger that captures and retains data. The data is ready for download to a laptop for site history, analysis of component performance and failure conditions.